Here's a new line from IKEA that I just saw. 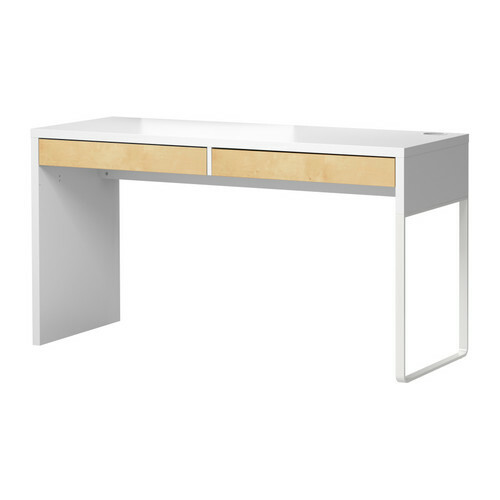 MICKE is a new office series with desks, file cabinets and drawer units. The desk is my favorite piece. I love the clean lines and the 2 drawers. 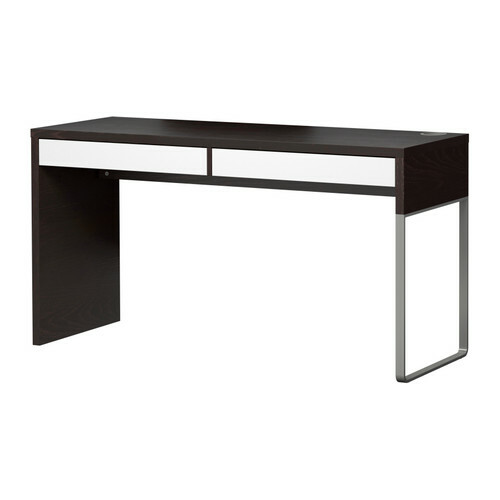 Rather than using it as a traditional office desk, I think this pice would work beautifully in an entry as a console table. 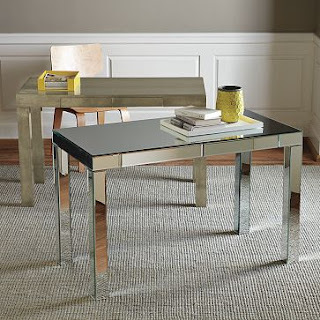 This is the type of modern piece that would look fabulous paired with an ornate lamp or a vintage looking mirror. It's practical and versatile. Not bad for $79! MICKE reminds me of one of my favorite desks/tables, the classic Parsons desk. These are from West Elm and start at $300. My Vinyl Graphics Give Away ends next Thursday so enter if you're interested! Oh wow I need one of these desks. I could put it in the office or in the kitchen. Nice find! I just got 3 of the four-cube IKEA EXPEDIT bookshelves last month(?) for the office so this would tie in well. The office is great place to go with cheaper furniture since offices lend themselves well to sleek, streamlined and simplified designs.